I think I have found the perfect way to keep the kids occupied while packing and unpacking boxes for a couple of weeks this summer. 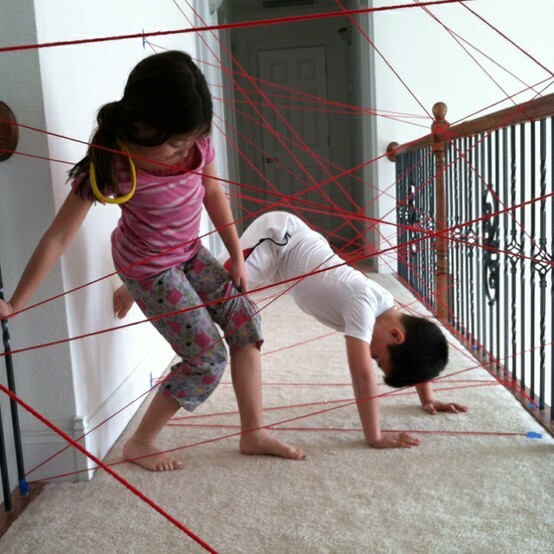 Joy O created a fun yarn obstacle course for her kids that looks like something out of a spy movie. A couple balls of yarn and I am pretty sure the kids would enjoy this for most of the day. You can check out the details of this yarn obstacle course on Joy O's Pinterest page. I did this in the backyard for my son's spy-themed birthday party! The kids loved it.